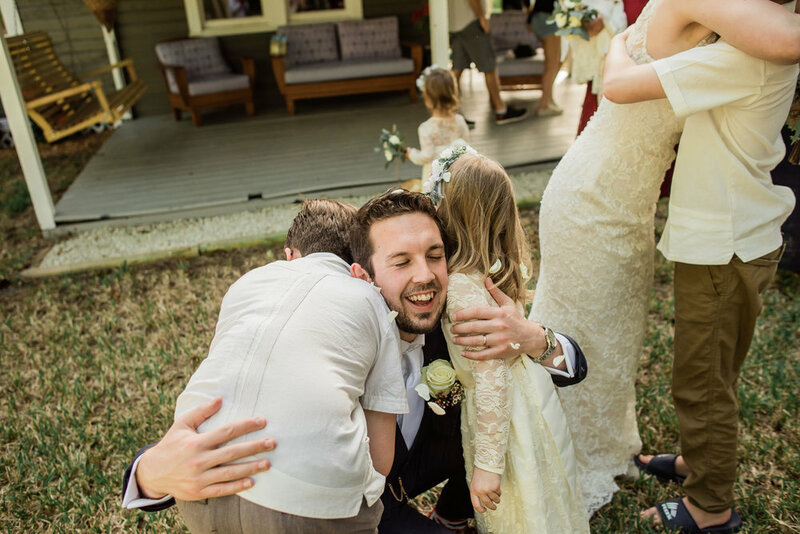 Alex reached out to me about his and Kelsey’s wedding, and we instantly hit it off. 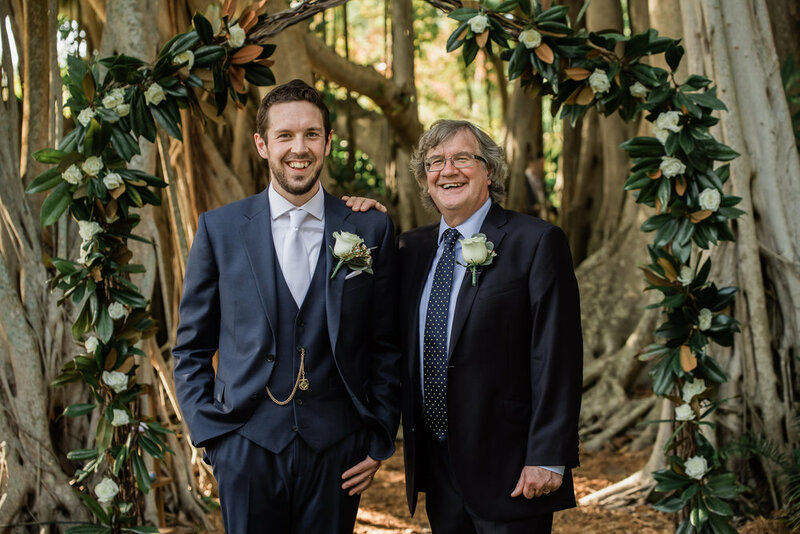 It is usually the bride who finds me, but Alex had an eye for my work, and filled out my contact form with some answers I really found interesting. These two unique individuals have quite a story! Kelsey and Alex met at Syracuse University in 2013 as graduate students where they both studied international relations and public policy. Alex is from the UK and Kelsey is a dual citizen of both the US and Canada. Since then they have lived together, done long distance, and everything in-between; across Washington DC, Berlin, Germany, the Netherlands, Ontario, and Iowa. Wowza. 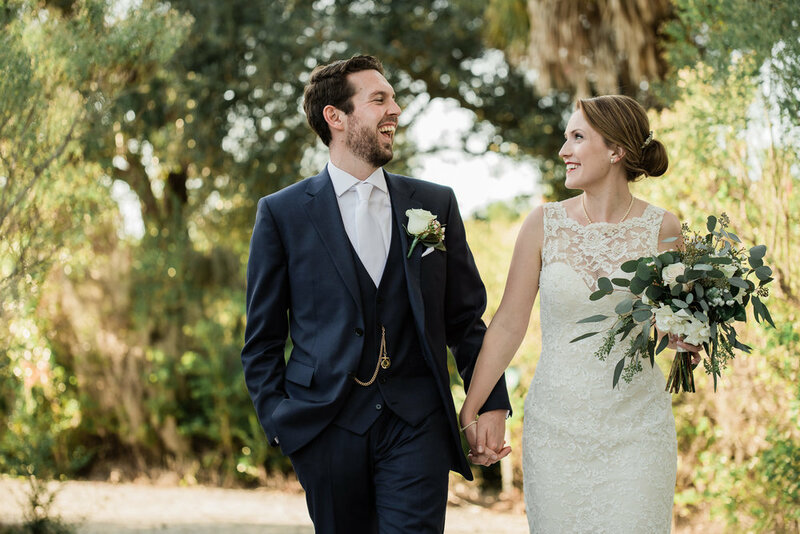 I thought I was pretty cool being both a Tampa area and New Jersey Wedding photographer, with some other areas sprinkled in, but these two have really traveled! 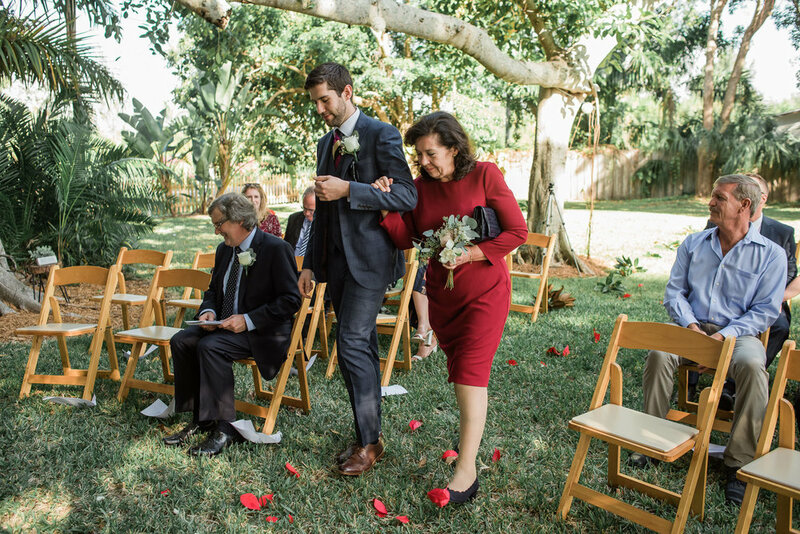 Their wedding was an intimate gathering of about 30-35 family and friends, who came from all over to attend. We made sure to get photos with all different family/friend groups, and even a big photo with everyone in attendance! 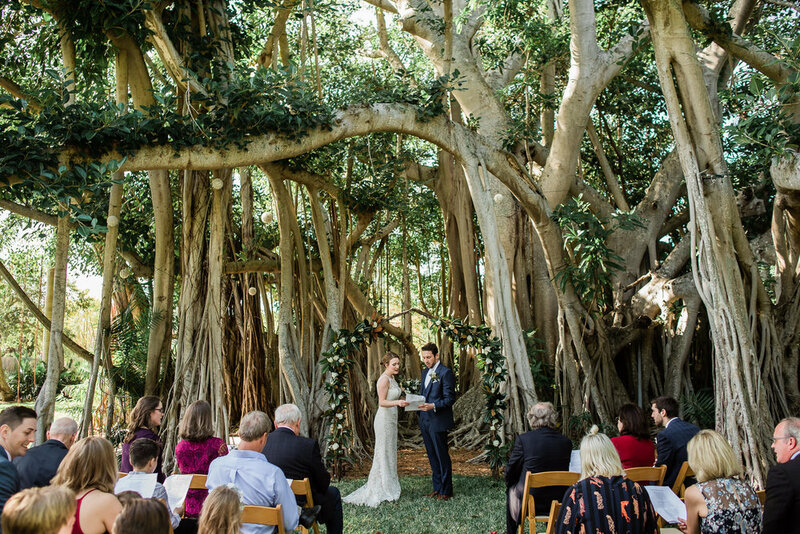 When Alex told me it would be a backyard wedding with some Banyan trees- I was not expecting the massive and unique Banyan trees that frame a perfect ceremony site. 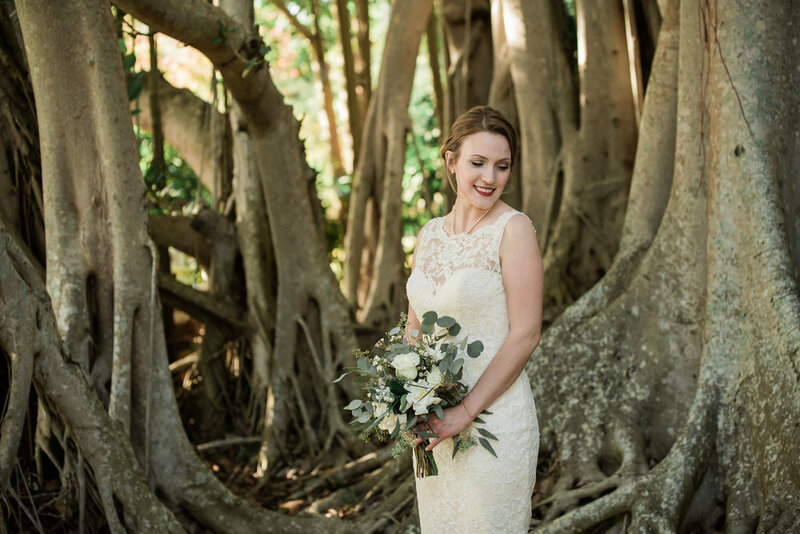 The Banyan Grove Cottage property is owned and run by Jenevieve and her husband Connor. It is quite easy to access, located near Anna Maria Island and downtown Bradenton, but isolated and charming enough on 2 acres to feel like you are in your own fantasy world. I look forward to working there more in the future. After Kelsey and Alex said their “I do’s” in a beautiful ceremony with many personal touches, we headed to the Neal Preserve in Bradenton to wander amongst greenery - and found the most splendid golden light that shined through thick brush/trees, and reflected off of the water in the distance. 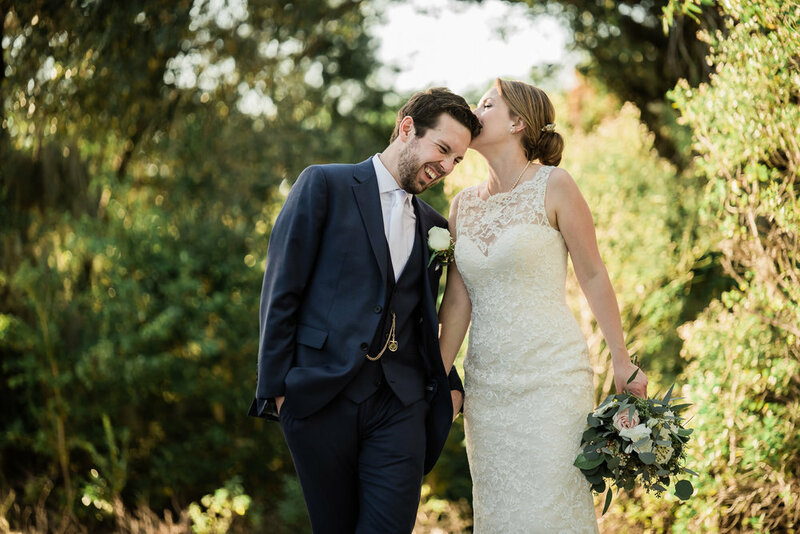 Although Alex and Kelsey didn’t have me cover many of the traditional formalities like getting ready - or the reception afterwards, this wedding was truly a photographer’s dream. Thank you both for being so terrific and kind to work with. 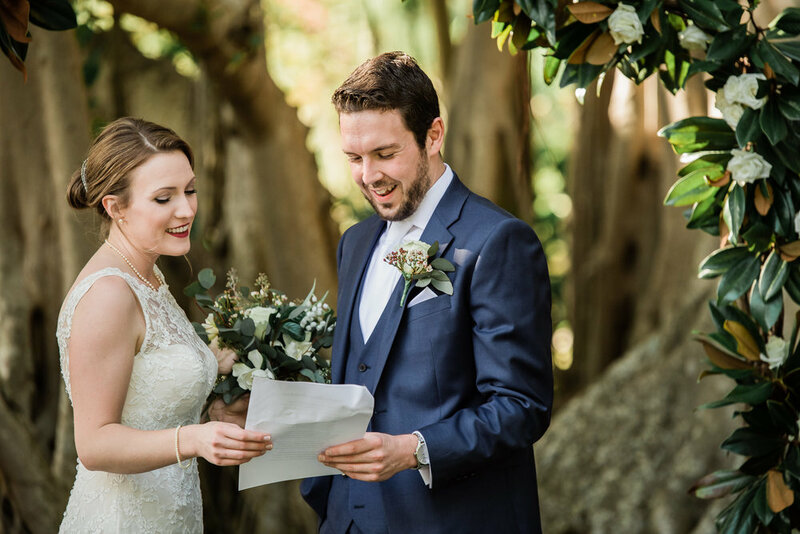 Your wedding was the perfect way for me to end 2018!